Either as a team or individually, 2014 was a year where football records were broken or some of them holding a very special place in fans hearts. Some of these records will perhaps never be broken again, while some others will last only one year before they are once again broken and a new player or team has their name etched in the shrines of history. As we look back at a wonderful year in football, let’s re-live five of the most incredible records that were broken during the past year. It was a very tight race between Cristiano Ronaldo and Lionel Messi to break Raul’s record of 71, but in the end it was Messi that took the lead with a hat trick on November 25th against APOEL Nicosia. 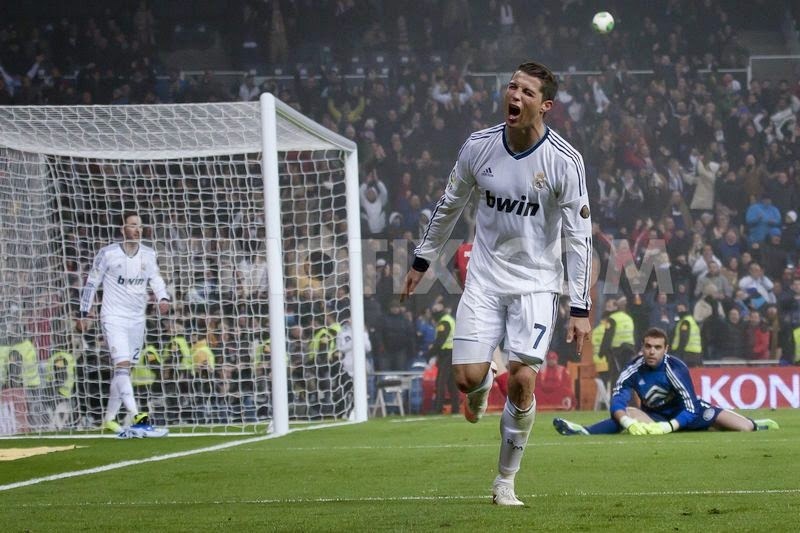 The first goal broke the record and the other two set him in the lead ahead of Cristiano Ronaldo. While this was an incredible record to be broken, it is one that hasn’t seen its final days. Cristiano Ronaldo and Lionel Messi are sure to trade the hold on this record for seasons to come. The real question will be who will be the leader when both these players retire from football? Whoever it is, won’t be losing his place in that throne for a very long time, if ever. Cristiano Ronaldo put the exclamation mark on a wonderful year by breaking the record of most hat tricks scored in the La Liga, by scoring his 23rd against Celta Vigo. The record was previously held by Telmo Zarra and Di Stefano, who reached that milestone after more than 15 years playing in La Liga, Cristiano Ronaldo did it in only five. He will most likely push this record beyond 23 to a point where no player will ever be able to match it. In November of 2014, Lionel Messi broke a 59 year old record by becoming La Liga’s top goalscorer of all time. Messi passed Telmo Zarra as the all-time La Liga scorer with 251 goals with a hat trick against Sevilla. Considering his age and his ability to score goals what will the final number be for Messi is anyone’s guess, but he will most likely set the bar so high that we will never see anyone else come close to matching it. Here is one that doesn’t involve Messi or Cristiano Ronaldo. 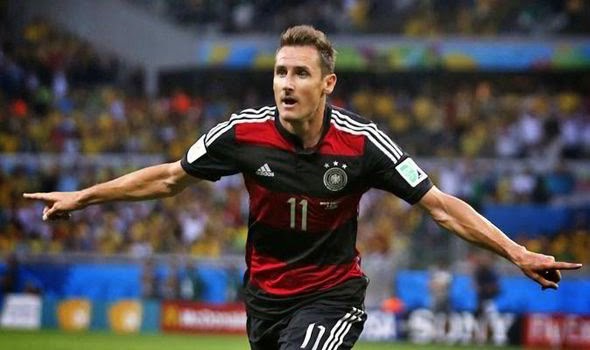 Miroslav Klose became the all-time leading scorer at a World Cup with 16 goals, surpassing Brazilian sensation Ronaldo who held the record with 15 goals. He broke the record by scoring in the 7-1 win against Brazil in the semifinal. What a better way to do it, and went on to retire from international duty not only holding the title of all-time leading scorer at a World Cup but also with the title of World Cup winner and Germany’s highest goal scorer of all time with 71 goals. 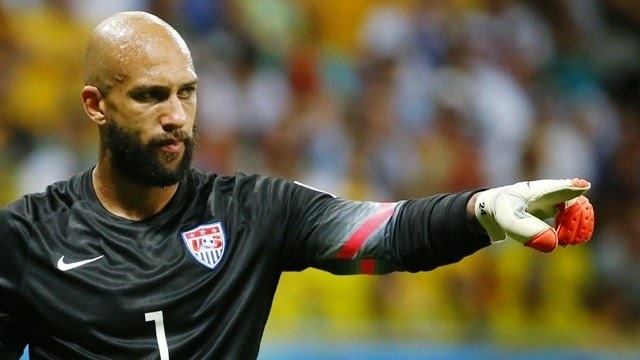 Tim Howard’s performance against Belgium at the 2014 World Cup in Brazil is the stuff of legend. He was a monster in net and was able to stop shots that seemed destined to enter his net. 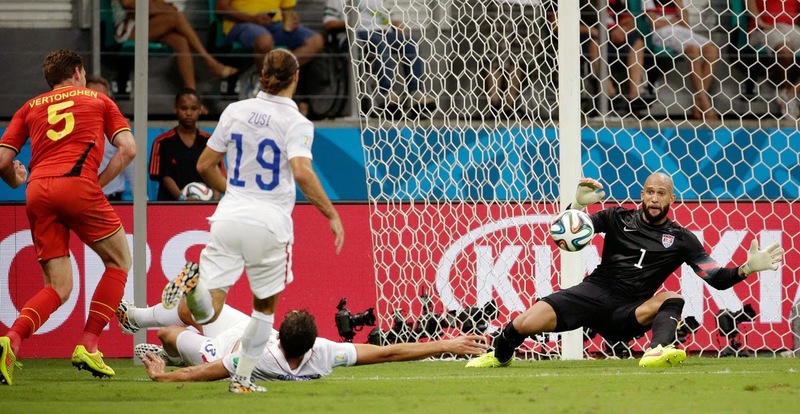 He went on to save 16 shots and place his name in the World Cup record books with the most saves in a World Cup game. He was a giant amongst men on that day.